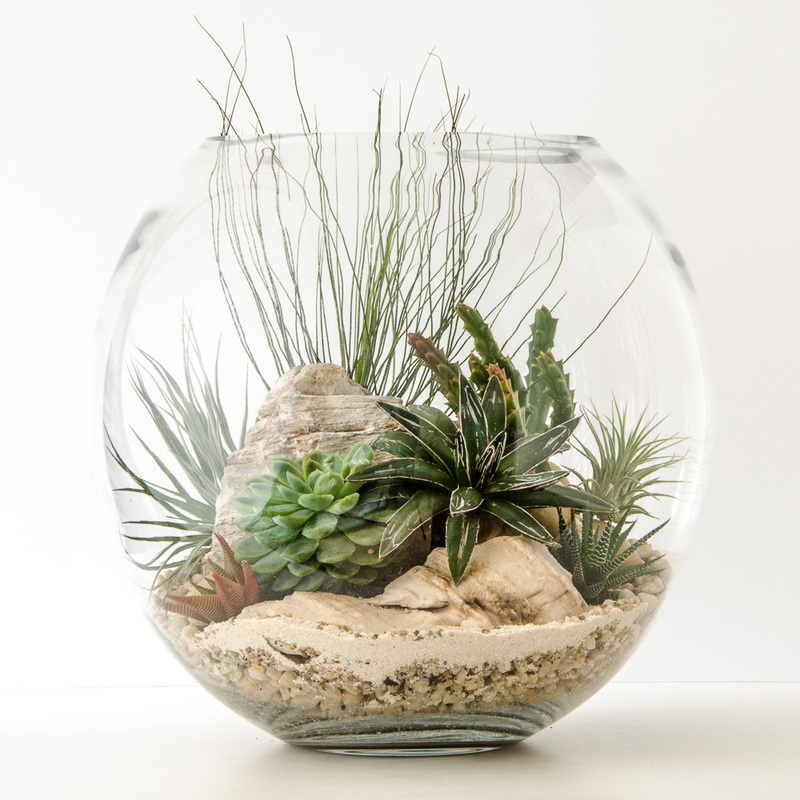 This striking and sculptural terrarium contains cacti, succulents, airplants, chunks of feature stone, pebbles and sand. Suggested additions: transform your terrarium from living decor to mini landscape with a meerkat, lion cub or dinosaurs. Care: A nice bright spot with indirect sun, water when it becomes completely dry (approx. fortnightly in Summer, monthly in Winter). Perfect for people who forget to water their plants! Plants may be substituted to ensure the best quality available. Please specify if you have any particular plant requests.